The struggle to unload $51 billion (36.1 billion EUR) in retiree health costs and improve competitiveness is finally won by General Motors Corp. The two sides tentatively agreed Wednesday to a groundbreaking agreement that allows GM to move its unfunded retiree health care costs into an independent trust administered by the UAW. The union also agreed to lower wages for some workers. In exchange, the UAW won commitments from GM to invest in U.S. plants, bonuses and an agreement to hire thousands of temporary workers which will boost UAW membership, according to a person who was briefed on the contract. The person requested anonymity because the details have not been publicly released. Wall Street applauded news of the deal, sending GM shares up almost 10 percent in afternoon trading. The union said the agreement with the nation's largest automaker was reached shortly after 3 a.m. (0700 GMT). The UAW canceled its two-day strike about an hour later and workers were back in GM's 80 U.S. facilities Wednesday afternoon. GM lost production of around 25,000 vehicles due to the strike, according to CSM Worldwide Inc. Analysts had suggested a short strike could actually improve GM's outlook because it would cut back on inventory levels. GM shares rose $3.38, or 9.8 percent, to $37.80 in afternoon trading. Standard & Poor's Ratings Services said it may raise GM's long-term debt rating, which is currently below investment grade. The agreement is expected to set a pattern for contracts that now will be negotiated at Ford Motor Co. and Chrysler LLC. Gettelfinger said he will decide this week which automaker will go next. The UAW may even conduct negotiations with Ford and Chrysler simultaneously, Gettelfinger said in an interview. The GM contract will be reviewed by local UAW presidents this week and will be subject to a vote of GM's 74,000 rank-and-file members. Voting is expected to begin this weekend, UAW President Ron Gettelfinger said. If members vote against the agreement they could go back on strike, but Gettelfinger said he's confident it will be ratified. GM said the contract will make it significantly more competitive. The company, which lost $2 billion last year and is in the midst of a restructuring, went into the negotiations seeking to cut or erase what it said is about a $25- (17.70 EUR)-per-hour labor cost disparity with the U.S. employees of Japanese competitors. 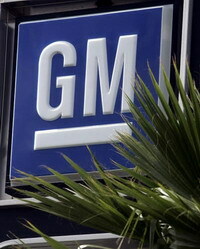 GM has said it pays workers $73.26 (51.86 EUR) an hour in wages and benefits. Deutsche Bank auto analyst Rod Lache said the agreement to move retiree health care costs off GM's books could eventually reduce the labor cost gap by $18 (12.74 EUR) an hour. GM would pay about 70 percent of its obligation, or nearly $36 billion (25.48 billion EUR), into the trust, called a Voluntary Employees Beneficiary Association, or VEBA, according to a person who was briefed on the contract and asked not to be identified by name because the contract details aren't yet public. In exchange for their ratification, union members would get a one-time bonus of $3,000 (2,123 EUR) and then bonuses of 3 percent, 4 percent and 3 percent of their annual pay each year for the last three years of the contract, said one of the people briefed on the contract. That person also said GM would hire temporary autoworkers at full company wages and benefits. The companyhas approximately 6,000 temporary workers, the person said. Temporary workers who have been at the company for less than 90 days would be hired at a lower wage, the person said. The pact also includes a lower wage structure for newly hired workers in certain non-manufacturing jobs such as sanitation workers, that person said. The person said in order to make way for the new hires, GM would offer early retirement and buyout packages of $35,000 (24,775 EUR) to workers now in the positions.